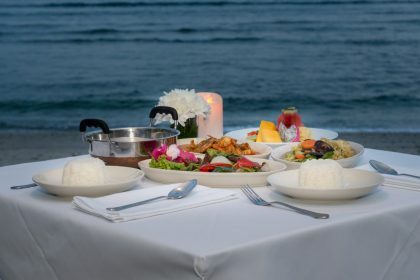 When it comes to visiting a Phuket Thai restaurant, chicken dishes are always a safe bet. 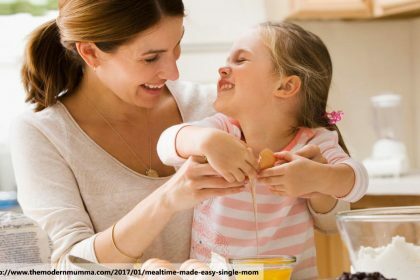 After all, who doesn’t love chicken? Other than vegetarians and vegans, obviously. It’s such a universally loved flavour that we associate it with virtually everything. The expression “it takes like chicken”, said about something which is definitely not chicken, is pretty much a cliché by this point, it has been said so frequently. Unsurprisingly, there are some outstanding Thai dishes made with this fabulous meat, with some of the best of them listed below. This is a fabulously popular starter across Southeast Asia, but is particularly associated with Thailand. 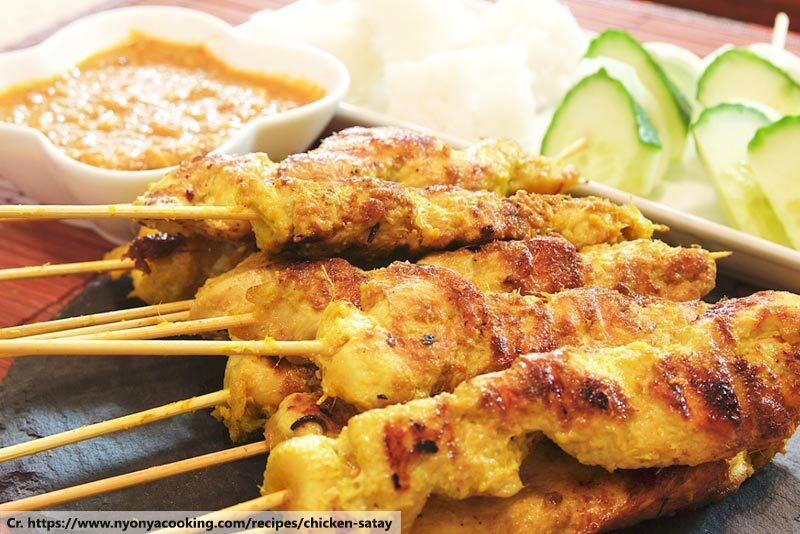 Strips of chicken (you can use other meats, but chicken is best) are skewered and marinated in a special sauce, which contains spicy, sour, sweet and salty hints. The result is tasty on its own, but is absolutely amazing with a peanut sauce dip. This is a bit of a touristy dish, but you’ll still find it in almost every Phuket Thai restaurant. 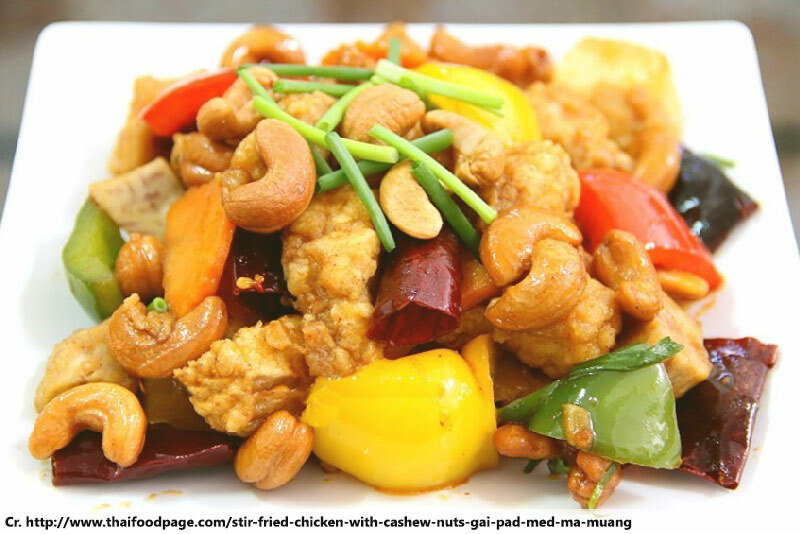 The tender chicken, the crunchy nuts, the fruity bell peppers, the soft rice absorbing all of the juices; it’s a wonderful flavour adventure. 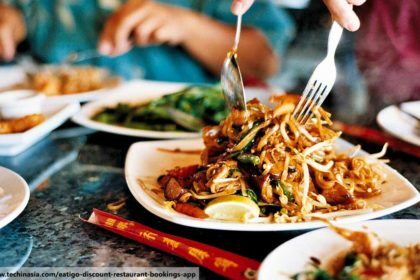 It’s not so popular with locals because it lacks much of a spicy hit, but it’s a great choice for those who are new to Thai cuisine. Surprisingly, this Thai street food dish is also not especially spicy, but is very popular with locals. 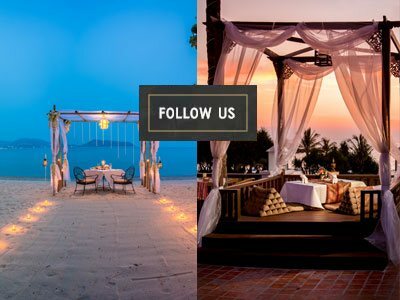 It’s a little too simple to be found in many a Phuket Thai restaurant, but there are some great little local joints where you can enjoy it. 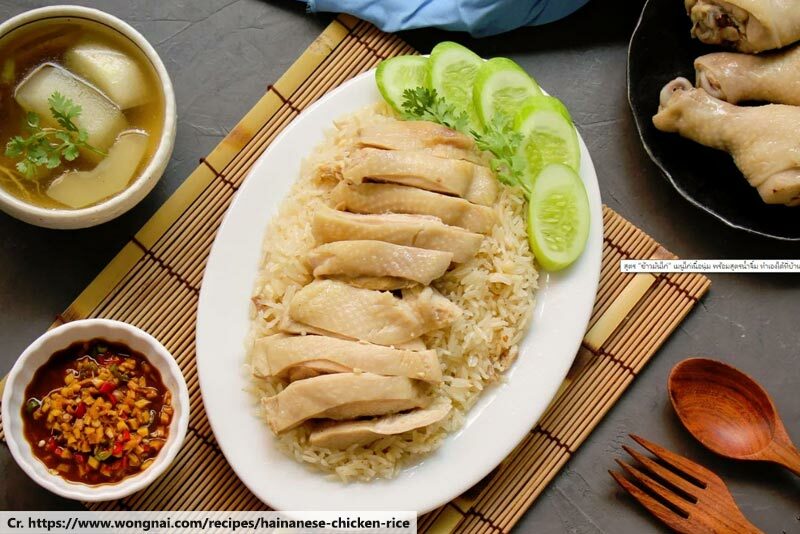 It’s an amazingly simple dish – it really is just boiled chicken and rice, usually served with a very simple soup. Khao man gai, as it’s known in Thai, is something of a comfort food, making it to Thais what KFC is to westerners. 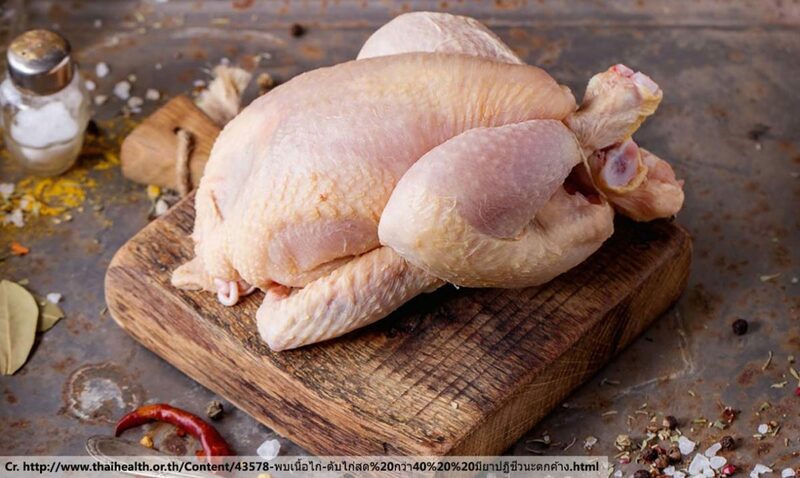 Thai cooks believe in making the most of their ingredients, and the parts of a chicken which can be made into a tasty meal don’t stop at just the breasts, wings, thighs and drumsticks. 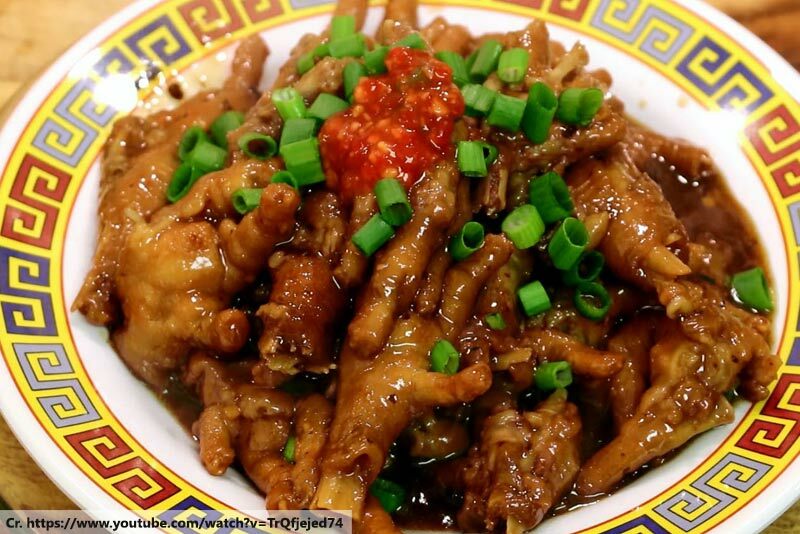 The feet are something of an acquired taste and, as you might expect, aren’t widely available in high-end restaurants, but locals love them. They’re effectively a side dish, sometimes served with a Thai green curry or with noodle soup. This simple yet tasty dish brings together all of the wonderful flavours which Thai cuisine is known for. 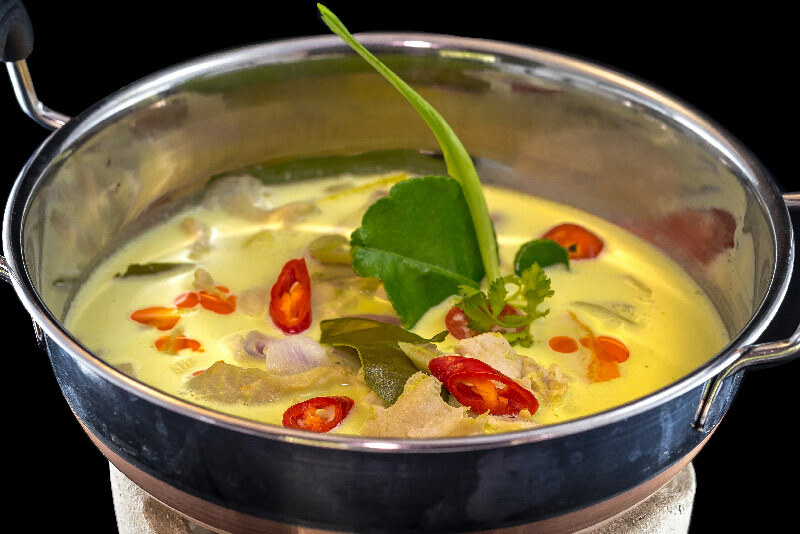 With tom ka gai, you get the heat of chillies, the creamy coconut, the bitter lime, the sweet sugar and the salty fish sauce. Added to that, you get the tender chicken and some meaty mushrooms. Its a dish to rival the more famous tom yum gung (spicy shrimp soup) for the vibrancy of its flavour and its iconic Thai-ness.